Spination at Elqui Valley, Coquimbo Region IV, Chile. 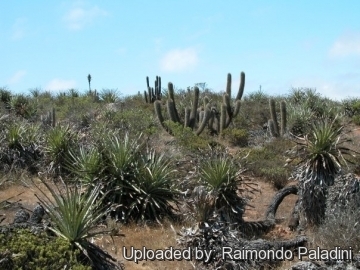 Origin and Habitat: Echinopsis chiloensis occur along the coast and in the coastal cordillera of Chile (North-Central Valley of Chile) in the regions of Maule, O'Higgins, Metropolitana, Valparaíso and Coquimbo, from Talca to Valle del Elqui. Altitude: 0-2000 metres above sea level. Habitat: Chilean matorral (sclerophyllous forest) in the upper north-facing hill-slopes that flank the higher Andes. The climate in this area is similar to that of the Southern Californian chaparral. Echinopsis chiloensis has a wide range, is abundant, and even though it has threats these occur only in portions of its distribution. The major threats are land use change due to agriculture of fruit trees and urbanization. 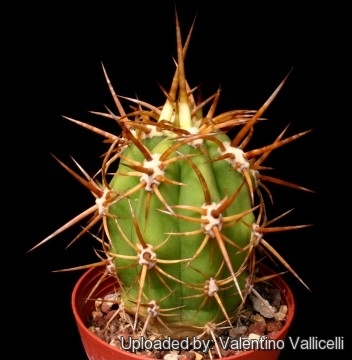 Description: Echinopsis chiloensis previously known as Trichocereus chiloensis is a fiercely spiny cactus. arising from near the base, starting nearly at right angles to the main trunk but soon erect, the tallest sometimes 8 meters high. Stem: Up to 8 m tall, stems 10-12 cm in diameter. 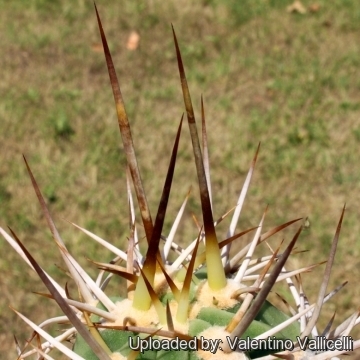 Spines: Yellowish with brown tips, at least when young, greyish later. Central spines: 1 to 4, porrect, projecting, often stout, usually 5-7 cm long, but some of the longest spines can grow up to 25 centimetres long . Radial spines: 8 to 12 radials, 1-4 cm long, lightly spreading, often stout. Flowers: Nocturnal 14 cm. long, outer perianth-segments white but tinged with red or brown; inner perianth-segments white, acuminate. Style green below, cream-coloured above; stigma-lobes about 18 cream-coloured up to 15 mm long. 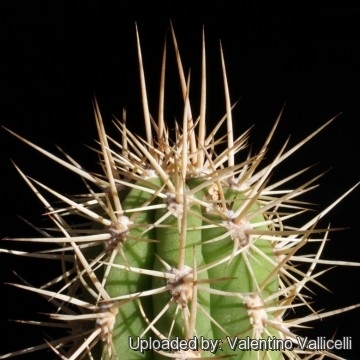 Notes: The original name for this cactus was Trichocereus chiloensis. In 1950, Skottsberg pointed that the name was misspelled, and was changed to "chilensis" for "Chile"+"ensis". The rules of nomenclature now, give priority to the original name, misspelling included, except if the name was changed by the original author. Thus, Friedrich & Rowley retained chiloensis when they included the genus Trichocereus into the genus Echinopsis. This species is occasionally confused with Trichocereus litoralis. 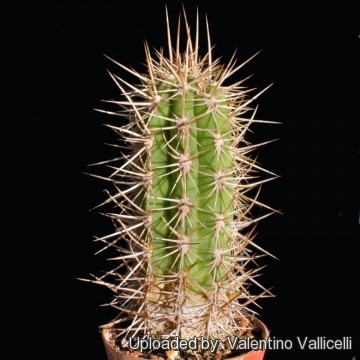 Growth rate Echinopsis chiloensis produces noticeable amounts of growth each year if kept well fed and watered throughout the warmest months, particularly if it has been acclimatised to accept full sun. 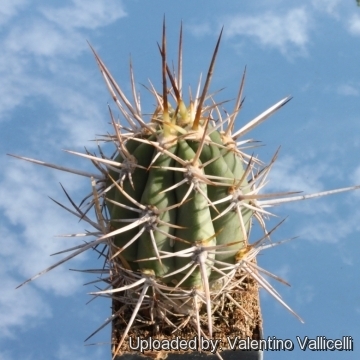 Once this cactus is established it can easily produce 20 cm of growth every year. 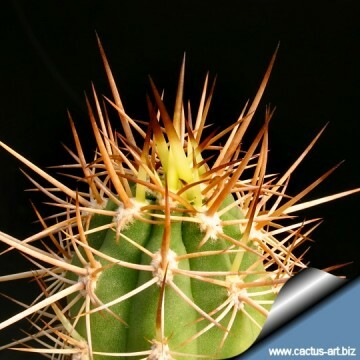 Traditional uses: A popular item sold in many regions of the world is the rain stick of Chile, made from the dried skeleton of the stem of Echinopsis chiloensis or Eulychnia acida. The dry stems are harvested in the field, cleaned, and prepared by pushing stout spines through the areolar gaps in the wood. The cylinders of the wood are sealed and filled with various materials, such as volcanic sand or pebbles, that run up and down when the stick is tilted. These are then sold locally and overseas. 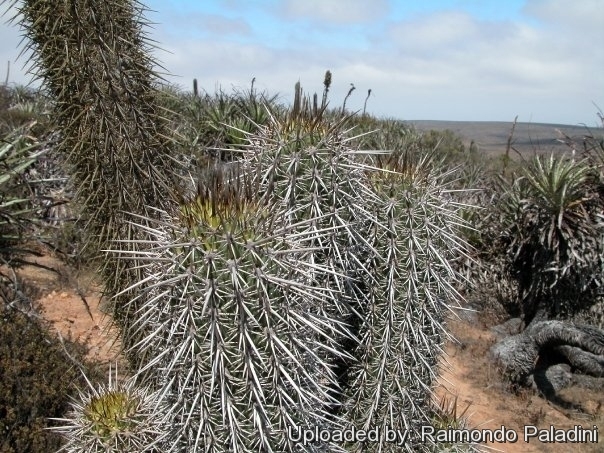 The trade in rainsticks made from cacti has increased in recent years, giving rise to concern over the impact on the wild populations. 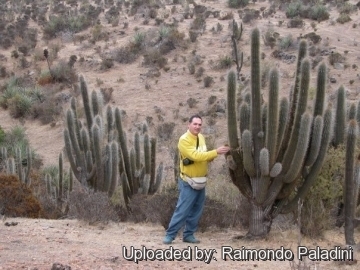 Rain sticks are also made from the wood of the cardon, Echinopsis atacamensis subsp. pasacana, in northwestern Argentina. Propagation: Cutting or from seed. The seeds are quite easy to germinate and grow. Their main requirements consist of high humidity levels, free-draining soil mix, and enough water, light, and nutrition.